As the title says, I've been trying to find people who'd join my party for almost a year now with no luck. It's just me and my girlfriend playing, but I mostly do the work since she has Uni to worry about. Our party always ranks around the 300-500 everytime, we don't bother much about pvp and I finish pretty much all the weekly goals (Sometimes I can't reach 150 raid bosses myself, but the rest I do on my own.) I'm active every day, I never skip one day even if it's just a couple mins and I have a discord account, so we can talk and chat there if needed. If you are viewing this topic, you have decided to join the Vulpes union in the North American version of Kingdom Hearts Unchained χ! Getting to know the members of your union is important because, periodically, the game will host contests between the unions for in-game rewards! The contests usually involve being in the union that collects the largest amount of Lux between its members. In this thread, feel free to introduce yourself to fellow Vulpes members and answer a few questions: What is your game ID Number/Nickname? What level are you? Why did you join the Vulpes union? Are you a member of a party? If not, would you like to join one? What is your favorite medal? Have fun, and be sure to keep the discussion to strictly the Vulpes union! For VIP purchasers this week, VIP offers: another four Vanitas Remnant B medals, a Trait Medal #50 for it, another three Trait Medal #51 medals (for Prime - Neku & Joshua), and a bonus 1400 Jewels; one Gold Ticket (to be distributed October 29th at 2:00 PT), the Lucifer Paws and Lucifer Mask (Skill Perk +2) accessories, seven Brooms, seven Mirrors, and six Gems (two of each P/S/M type). Until October 31st at 23:59 PT, three quests offering Event Coins are open. Players can receive Event Coins by clearing quest objectives, or from enemy drops. The Weekly Raid Event runs until October 31st at 20:59 PT. Rewards include Broom, Mirror, Chip, and Dale medals. On Mondays through Fridays, the raid boss is available during: Pacific Time UTC 2:00 AM to 2:59 AM 9:00 to 9:59 8:00 AM to 8:59 AM 15:00 to 15:59 2:00 PM to 2:59 PM 21:00 to 21:59 8:00 PM to 8:59 PM 3:00 to 3:59 On Saturday and Sunday, the raid boss will be available all day and the above time periods will become Bonus Times, in which defeating the raid boss raises its level by two and LUX acquisition is increased. Until November 4th at 23:59 PT, the Halloween Crow and Halloween Doctor (M) / Nurse (F) boards are open for 2500 Jewels each: Halloween Crow (M) Halloween Crow (F) Halloween Crow Halloween Crow: Hat (Skill Perk +6) Halloween Crow: Mask Halloween Crow: Wings Slicked Back ATK B VII Max & GA 0 (6★ Scrooge) ATK B VI Max & Lux++ (6★ Scrooge) Second Chance IV (6★ Scrooge) Magic Gem x 1 6★ Chip x 1 6★ Cid 10 x 1 6★ Magic Mirror x 5 5★ Magic Broom x 3 Title: Head Honcho Halloween Crow Halloween Crow: Hat (Skill Perk +6) Halloween Crow: Mask Halloween Crow: Wings Braided 'Do ATK B VII Max & GA 0 (6★ Scrooge) ATK B VI Max & Lux++ (6★ Scrooge) Second Chance IV (6★ Scrooge) Magic Gem x 1 6★ Chip x 1 6★ Cid 10 x 1 6★ Magic Mirror x 5 5★ Magic Broom x 3 Title: Prez Halloween Doctor (M) Halloween Nurse (F) Halloween Doctor Halloween Doctor: Chart (Raid Boss Perk +10) Halloween Doctor: Bandage Halloween Doctor: Eye Patch & Bandaid Chic ATK B VII & AP+ & Lux+ (6★ Scrooge) Poison+ II Max (6★ Scrooge) Paralysis+ II Max (6★ Scrooge) Sleep+ II Max (6★ Scrooge) Magic Gem x 1 6★ Cid 10 x 1 6★ Magic Mirror x 5 5★ Magic Broom x 3 Title: Youngest Halloween Nurse Halloween Nurse: Needle (Raid Boss Perk +10) Halloween Nurse: Hat Halloween Nurse: Eye Patch & Bandaid Wavy Long ATK B VII & AP+ & Lux+ (6★ Scrooge) Poison+ II Max (6★ Scrooge) Paralysis+ II Max (6★ Scrooge) Sleep+ II Max (6★ Scrooge) Magic Gem x 1 6★ Cid 10 x 1 6★ Magic Mirror x 5 5★ Magic Broom x 3 Title: Messenger Images from this update can be viewed below. How have you been spending your Jewels? From 12 AM PT 10/21 until 11:59 PM PT 10/30, the Halloween Scenario Quests will be available. There are 10 quests in total, giving a total of 1000 Jewels upon completing all objectives! Until October 31st at 23:59 PT, a 0 AP Campaign is in effect for all quests and Raid battles. The Guilt Bonus Campaign is also in effect for the duration of this time period, in which medal synthesis EXP is doubled and the Munny cost is halved, along with the following boost: Guilt Tier Normal Range Campaign Range Tier 8 150~230% 190~230% Tier 7 120~200% 160~200% Tier 6 100~180% 140~180% Tier 5 80~150% 100~150% Tier 4 60~130% 90~130% Tier 3 40~100% 70~100% Tier 2 20~50% 30~50% Tier 1 10~25% 15~25% Defeat as much Heartless as possible before October 25th at 23:59 PT in the Halloween Bashing Campaign! The number of enemies defeated is tallied from all players. Reach the following milestones to receive the following rewards: 12,000,000 enemies defeated: "Happy Halloween!" Union Cross chat phrase 25,000,000 enemies defeated: "Black Cat" title 40,000,000 enemies defeated: Halloween Night avatar part Rewards are to be distributed after October 26th (PT). The current total of enemies defeated can be viewed from the HOME Screen from 0:00 to 4:00 PT during this campaign period, and the final count of all enemies defeated will be announced at a later date. Note that defeating players in PvP mode does not count towards the enemies defeated goal. Until October 31st at 23:59 PT, Union Cross offers the Black Cat Tail avatar part (Item Drop Perk +3). There are a total of six Cross Boards available this time, four of which are open from the start. Bonus Times are at: ● 4:00 a.m. - 4:29 a.m. (PT) / 11:00 to 11:29 (UTC) ● 10:00 a.m. - 10:29 a.m. (PT) / 17:00 to 17:29 (UTC) ● 2:00 p.m. - 2:29 p.m. (PT) / 21:00 to 21:29 (UTC) ● 7:00 p.m. - 7:29 p.m. (PT) / 2:00 to 2:29 (UTC) ● 11:00 p.m. - 11:29 p.m. (PT) / 6:00 to 6:29 (UTC) Until October 22nd at 23:59 PT, the Moon Gem Cup returns! Clear these high-difficulty quests for two Moon Gems, a Fantasia Mickey B medal, and Magic Mirror medals. Until October 31st at 23:59 PT, the Special Attack Limitation Challenge event is open. Clear these 15 quests for rewards such as EXP medals, Munny medals, and Event Coins. The 7* Prime - Neku & Joshua Deal is open until October 29th at 23:59 PT! Each pull guarantees: a 7* Guilt Tier 6 or 7 medal, a 6* Prime - Neku & Joshua medal, and three Mirrors. A 7* Prime - Neku & Joshua medal is guaranteed within five pulls. The 7* medals pulled from this deal may arrive with the following skills maxed: ・Attack Boost VI Max ・Defense Boost I Max ・Defense Boost II Max ・Defense Boost III Max ・ATK B V Max & GA 1 ・ATK B V Max & Lux+ ・Triple Threat II Medal Attribute Guilt Tier Target SP Cost Ability Multiplier (at Max Guilt) 7* Prime - Neku & Joshua Upright/Speed 5 AoE 4 for one turn: U atk+3, +120% Guilt; ignores enemy attributes,13 hits. 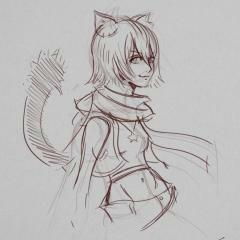 x25.05 6* Prime - Neku & Joshua Upright/Speed 5 AoE 4 for one turn: +100% Guilt; ignores enemy attributes,13 hits. x12.15 Images from this update can be viewed below. How have you decked out your avatars? For purchasers of the VIP package this week, VIP offers: four Vanitas Remnant B medals, one Trait Medal #50, and a bonus 1400 Jewels; seven Brooms, seven Mirrors, six Gems (two of each P/S/M type), and a Gold Ticket (to be distributed October 22nd at 2:00 PT). Vanitas Remnant B: Reverse/Speed // Guilt Tier 8 // Random-target // 1 SP Cost // for one turn: R atk +3, atk +7, PSM atk +5; 11 hits. This week's Raid Event offers rewards such as the Lucifer Tail avatar part, Mirrors, Brooms, Chip, and Dale medals. Bonus Times are at: Pacific Time // UTC 2:00 a.m. to 2:59 a.m. // 9:00 to 9:59 8:00 a.m. to 8:59 a.m. // 15:00 to 15:59 2:00 p.m. to 2:59 p.m. // 21:00 to 21:59 8:00 p.m. to 8:59 p.m. // 3:00 to 3:59 Defeating the raid boss during these time periods will raise its level by two. Use this raid event to raise your solo and party rankings! Party rankings this week offer the Lucifer Doll avatar part (Skill Perk +6). Until October 28th, the Halloween Cat and Werewolf boards can be obtained for 2500 Jewels each: Until November 4th at 23:59 PT, the following returning avatar boards are available for 1500 Jewels each: Jafar, Ursula: Halloween Donald, Goofy: Dragon Maleficent: Until October 22nd at 23:59 PT, Luxord's Falling Price Deal is open. Each pull guarantees three Mirrors, a Trait Medal #49 (for Luxord [+]), and at least one reprint medal. Luxord [+] is guaranteed to arrive with five ability dots filled within five pulls. 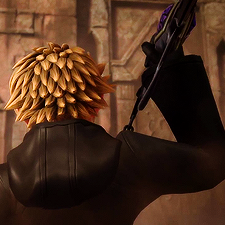 The trait medal or Luxord [+] pulled from this deal may arrive with one of the following skills: ・Attack Boost VI Max ・Defense Boost I Max ・Defense Boost II Max ・Defense Boost III Max ・ATK B V Max & GA 1 ・ATK B V Max & Lux+ ・Triple Threat II Luxord [+]: Reverse/Magic // Guilt Tier 8 // Random-target // 7 SP Cost // for one turn: atk & R atk & M atk +7; 50% critical hit chance, more powerful on critical hits, 7 hits. Luxord's New Organization XIII Event runs until October 23rd at 23:59 PT. Clear these 13 quests for a total of 5000 Jewels, five Trait Medal #49 medals, 70 Event Coins, and a title. Images from this update can be viewed below. How are your Jewels? A new main story quest connecting the story of the mobile game Kingdom Hearts Union χ[cross] to the upcoming title Kingdom Hearts III was released in the Japanese version of the game on October 11th at 15:00 JST. In this story update, a mysterious figure sheds some light on the truth behind the presence of Maleficent in Union χ[cross]. The connection was teased shortly before the story update in-game, by the official Twitter account for the Japanese version of the game. Translations of this story update can be viewed below, courtesy of Everglow: What are your thoughts on this twist? How much are you following KHUX now? Kingdom Hearts Union χ[cross], formerly known as Kingdom Hearts Unchained χ is a mobile game, with the rename occurring in Japan (March 23, 2017) and English version on April 6, 2017. As of October 11th at 0:00 PT, five new main story quests continuing the story in Enchanted Dominion have been added. Until October 15th at 23:59 PT, the 7* Prime - Halloween Sora Deal is open! A 7* Prime - Halloween Sora is guaranteed within five pulls. Otherwise, each pull guarantees: a 6* Prime - Halloween Sora, a 7* Guilt Tier 6 or 7 medal, and three Mirrors. The 7* medals pulled from this deal may arrive with the following skills: ・Attack Boost VI Max ・Defense Boost I Max ・Defense Boost II Max ・Defense Boost III Max ・ATK B V Max & GA 1 ・ATK B V Max & Lux+ ・Triple Threat II 7* Prime - Halloween Sora: Upright/Magic // Guilt Tier 5 // AoE // 4 SP Cost // for one turn: U atk+3, +120% Guilt; ignores enemy attributes, 11 hits. x25.05 max multiplier at max Guilt. During this same time period, players can also purchase the limited Halloween Medal Board for 8000 Jewels: Lastly, five new quests have been added to the Chasm of Challenges. Rewards include a Power Gem. Images from this update can be seen below. How are your medal decks? For VIP purchasers this week, VIP offers: another four The World Ends with You Art 3 medals, a Trait Mdal #46, and a bonus 1400 Jewels; a Gold Ticket (to be distributed October 15th at 2:00 PT) seven Brooms and seven Mirrors, and six Gems (two of each P/S/M type). The World Ends with You Art 3 (includes artwork): Upright/Speed // Guilt Tier 8 // Single-target // 0 SP Cost // for 1 attack: atk & U atk & S atk +7, enemy def & U def & S def -7; stronger against standalone enemies, enemy counter +10, 11 hits. Until October 18th at 23:59 PT, Union Cross offers the Balloon Lucifer accessory (+5 Raid Boss Perk) and Starlight Boosters (effective until October 31st at 23:59 PT). There are a total of seven Cross Boards available this time, five of which are open from the start. Bonus Times are at: ● 4:00 a.m. - 4:29 a.m. (PT) / 11:00 to 11:29 (UTC) ● 10:00 a.m. - 10:29 a.m. (PT) / 17:00 to 17:29 (UTC) ● 2:00 p.m. - 2:29 p.m. (PT) / 21:00 to 21:29 (UTC) ● 7:00 p.m. - 7:29 p.m. (PT) / 2:00 to 2:29 (UTC) ● 11:00 p.m. - 11:29 p.m. (PT) / 6:00 to 6:29 (UTC) Defeat the Malicious Spider in this week's Weekly Raid Event for rewards such as Broom, Mirror, Chip, and Dale medals. The Raid Board will remain open until October 15th at 11:59 PT. Defeating the raid boss will raise its level by one. Monday through Friday, this raid boss is available during: Pacific Time // UTC 2:00 a.m. to 2:59 a.m. // 9:00 to 9:59 8:00 a.m. to 8:59 a.m. // 15:00 to 15:59 2:00 p.m. to 2:59 p.m. // 21:00 to 21:59 8:00 p.m. to 8:59 p.m. // 3:00 to 3:59 On Saturday and Sunday, the raid boss will be available all day and the time periods listed above will become Bonus Time periods, during which the raid boss level will increase by two upon defeat, and LUX gain is increased. Until October 14th at 23:59 PT, the Turn-Based Challenge Event is open. Clear these 10 quests for rewards such as Brooms, Mirrors, and Event Coins. During this same time period, a 0 AP Campaign for all quests is in effect. Take advantage of it! Images from this update can be viewed below. From 12 AM PT 10/5 until 11:59 PM PT 10/22, the Supernova - Sephiroth Deal will be available. Each pull costs 3000 Jewels and comes with a 6* Prime - KH Cloud, a Trait Medal #48, 8 5* medals, and 3 Magic Mirror Medals. A 7* Prime - KH Cloud is guaranteed in 5 pulls! If you pull either a 7* Supernova - Sephiroth or 7* Prime - KH Cloud it will come with one of the following abilities: Attack Boost VI Max, Defense Boost I max Defense Boost II Max, Defense Boost III Max, Attack Boost V Max & Gauge 1, Attack Boost V Max & Lux+, Triple Threat II. There's also a chance of you getting boosted versions of those medals with 1000 more Strength and Defense! From 12 AM PT 10/5 until 11:59 PM PT 10/11, the Equipment Cost Challenge will be available. Complete 7 difficult quests with a limited equipment cost to get rewards like Huey & Dewey & Louie Medals and Event Coins! From 12 AM PT 10/5 until 11:59 PM PT 10/11, a new High Score Challenge will be available. Try to get the highest score with the Score Bonus Medals to get Zack B Medals, a Trait Medal #47, and Event Coins! The top 1000 will also receive a Boosted Zack B Medal with 1000 more Strength and Defense! From 12 AM PT 10/5 until 11:59 PM PT 10/15, the Bonus Jewels Campaign returns! Purchase Jewels during this period to then also get free bonus Jewels depending on the amount you buy and twice as many Skip Tickets+! From 12 AM PT 9/29 until 11:59 PM PT 10/19, the "A New Friend?" event will be available. At the beginning of the event 10 quests will be available, and more will be added on over time. You will also be able to obtain the Yellow Scarf Spirit Part and Jewels for completing the quests! Starting 9/27 at 12 AM PT, three Gem Boards will available that will be permanent! Each Board costs 3500 Jewels and contain 20 of their respective Gem. From 12 AM PT 9/27 until 11:59 PM PT 10/3, the One-Shot Damage Challenge will be available. There are 15 quests which each require a different Keyblade and you must do as much damage as you can with one hit! Some of the rewards you can get from completing objectives are Magic Mirror Medals and Huey & Dewey & Louie Medals and more! More Proud Quests have been added! Proud Mode Quests now go up to Quest 675! [september 28th PT Update] The Stained Glass #8 EX+ Deal is open until October 8th at 23:59 PT. Each pull guarantees a Trait Medal #44, 10 Limited VIP Coins, three Mirrors, and a 7* Tier 6 or 7 medal or a 7* Stained Glass #8 EX+ medal. Otherwise, a 7* Stained Glass #8 EX+ medal is guaranteed within 10 pulls. The 7* medal pulled from this deal may arrive with the following skills: ・Attack Boost VI Max ・Defense Boost I Max ・Defense Boost II Max ・Defense Boost III Max ・ATK B V Max & GA 1 ・ATK B V Max & Lux+ ・Triple Threat II Stained Glass #8 EX+ (includes artwork): Upright/Magic // Guilt Tier 8 // AoE // 0 SP Cost // for 2 turns: atk & U atk & R atk & M atk +7, enemy def & U def & R def & M def -7, +110% Guilt; resets enemy counters, 10 SP recovery, stronger if set earlier in deck, 6 hits. From 12 AM PT 9/25 until 11:59 PM PT 10/8, the Stained Glass #7 [EX+] Deal will be available. You're guaranteed to get Stained Glass #7 [EX+] with in 10 pulls! And it might boosted with 1000 more Strength and Defense! Each pull costs 3000 Jewels and from each pull you're guaranteed to get a Trait Medal #43, a 7-star Tier 6 or higher medal, 8 5-star or higher medals, 3 Magic Mirror medals, and 10 Limited VIP Coins! The Stained Glass #7 [EX+] or guaranteed 7-star medal will also come with one of the following abilities: Attack Boost VI Max, Defense Boost I Max, Defense Boost II Max, Defense Boost III Max, Attack Boost V Max & Gauge 1, Attack Boost V Max & Lux+, or Triple Threat II. From 12 AM PT 9/20 until 11:59 PM PT 10/7, the Hades Cup will be available. There are 15 challenging quests to complete and you can't use continues! The rewards of these quests include Jewels, Gems, Magic Mirror Medals, Magic Broom Medals, and a Fantasia Mickey B Medal! To celebrate the KH3 trailer released at TGS, everyone who logs in today gets 10,000 free Jewels! Upon consideration of player feedback, the following changes to the PvP system will go in effect starting September 18th PT: For VIP purchasers this week, VIP offers: a Gold Ticket (to be distributed September 25th at 2:00 PT), another four Key Art #18 medals, a Trait Medal #35, and a bonus 1400 Jewels; seven Brooms, seven Mirrors, and six Gems (two of each P/S/M type). Until September 23rd at 23:59 PT, the Hercules (M), Megara (F), and the Hades avatar sets return for 1500 Jewels each: This week's Union Cross runs until September 30th at 23:59 PT and offers the Starlight Sunglasses (Raid Boss Ω Perk +10) and Starlight Boosters (effective until September 30th at 23:59 PT). There are a total of eight Cross Boards available this time, six of which are open from the start. Bonus Times are at: ● 4:00 a.m. - 4:29 a.m. (PT) / 11:00 to 11:29 (UTC) ● 10:00 a.m. - 10:29 a.m. (PT) / 17:00 to 17:29 (UTC) ● 2:00 p.m. - 2:29 p.m. (PT) / 21:00 to 21:29 (UTC) ● 7:00 p.m. - 7:29 p.m. (PT) / 2:00 to 2:29 (UTC) ● 11:00 p.m. - 11:29 p.m. (PT) / 6:00 to 6:29 (UTC) Defeat the Gear Golem raid boss in this week's Raid Event for rewards such as Brooms, Mirrors, Chip, and Dale medals. Defeating the raid boss will raise its level by one. On Monday through Friday, the boss is available during: Pacific Time // UTC 2:00 a.m. to 3:00 a.m. // 9:00 to 10:00 8:00 a.m. to 9:00 a.m. // 15:00 to 16:00 2:00 p.m. to 3:00 p.m. // 21:00 to 22:00 8:00 p.m. to 9:00 p.m. // 3:00 to 4:00 On Saturday and Sunday, the raid boss will be available all day and the time periods shown above function as Raid Bonus Times (LUX+, raid level increases by two upon successful defeat). Lastly, until the end of the week at September 23rd at 23:59 PT, the Swiftstriker Championship event is running! There are three quests (of the same difficulty, but for the three attributes) total, and the objective is to clear these as quickly as possible. Your fastest clear time is shared among the three quests, so focus on the quest you're best equipped to tackle! Rank in the top five for special titles. Rewards will be distributed after the event period has ended. Images from this update can be viewed below. 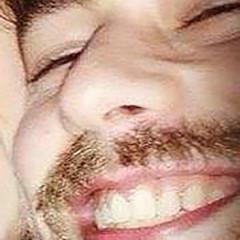 How do you feel about the game so far? Which of the Classic Kingdom minigames have you played? Until September 24th at 23:59 PT, the 7* HD Aced EX+ and 7* HD Gula EX+ Deals are open. 7* HD Aced EX+ and HD Gula EX+ are guaranteed within 10 pulls in their respective draws. Otherwise, each pull guarantees one of their respective trait medals, three Mirrors, 10 Limited VIP Coins, and a 7* Guilt Tier 5 medal. The 7* medal pulled may arrive with one of the following skills: ・Attack Boost VI Max ・Defense Boost I Max ・Defense Boost II Max ・Defense Boost III Max ・ATK B V Max & GA 1 ・ATK B V Max & Lux+ ・Triple Threat II 7* HD Aced EX+: Upright/Power // Guilt Tier 8 // AoE // 4 SP Cost // for three turns: atk & P atk & U atk & S def +7, enemy def & P def & U def -7 & S atk -3, +100% Guilt, 2 SP recovery, enemy counter +2, stronger with more HP, next medal >> P attribute, 4 hits. 7* HD Gula EX+: Upright/Speed // Guilt Tier 8 // AoE // 4 SP Cost // for three turns: atk & S atk & U atk & M def +7, enemy def & S def & U def -7 & M atk -3, +100% Guilt, 2 SP recovery, enemy counter +2, stronger with more HP, next medal >> S attribute, 4 hits. The Daily Time Trial Challenge event is running until September 20th at 23:59 PT--there are three quests each day, for a total of 21 quests. Rewards include Cid, 6* Chip, and 6* Dale medals. Keep in mind that all three challenge objectives of each quest must be cleared simultaneously in order to receive the objective rewards. During this same time period, rank high in the Boss Xemnas High Score Challenge for Boss Xemnas medals and his respective trait medals! Top 1000 rankers will receive a boosted Boss Xemnas. Boss Xemnas: Reversed/Power // Guilt Tier 8 // Random-target // 9 SP Cost // 4 hits. Images from this update can be viewed below. How are your medal decks? Ten new story quests have been added. They take place in Enchanted Dominion, and you will be able to proceed until quest 880. Along with that, today you'll be able to challenge another member of the Organization XIII: The Melodious Nocturn, Demyx. As always, the event is made up by thirteen quests that will become harder. The main rewards are 5.000 jewels, 5 Trait Medals #38 and the title "Melodious Nocturn" Pacific Time // UTC Sep 13, 2018 12:00 a.m. to Sep 23, 2018 11:59 p.m. (PT) Sep 13, 2018 7:00 to sep 24, 2018 6:59 (UTC) The Demyx [+] deal is here! It's a falling price deal where you can get Demyx [+] guaranteed in 5 pulls! Due to it being a Falling Price Deal, every time you'll pull the cost will decrease: 3000 jewels, 2500 jewels, 2200 jewels, 2000 jewels and 1900 jewels. Demyx [+] and Trait Medal #38 can be drawed with one of the following skills: Attack Boost VI Max Defense Boost I Max Defense Boost II Max Defense Boost III Max Attack Boost V Max & GA 1 Attack Boost V Max & Lux+ Triple Threat II Every time you draw from this banner you'll get at least one of these six stars medals: KHII Kairi [EX+] Xion [EX+] HD Zack HD Pete Yuna & Rikku & Paine HD Zexion The World Ends With You Art 2 HD Larxene You may also pull a boosted version of Demyx [+]: a boosted nedaks has +1000 base STR and DEF Demyx [+]★6: -6SP gauge -Guilt 8 -Single Target -5 turns: Def +7, PSM Def +7, Enemy Atk -4 -Recover 6SP, does not effect enemy counters, Atk up with more turns, 2 hits -Max x15.00~24.13 Pacific Time // UTC Sep 13, 2018 12:00 a.m to Sep 24, 2018 11:59 p.m. (PT) Sep 13, 2018 7:00 to Sep 25, 2018 6:59 (UTC) Also new quest have been added to the Chasm of Challenges! For VIP purchasers this week, VIP offers: a Gold Ticket (to be distributed September 18th at 2:00 PT), four Key Art #18 medals, one Trait Medal #35 (for Key Art #18), and a bonus 1400 Jewels; seven Mirrors, seven Brooms, and six Gems (two of each P/S/M type). Key Art #18 (includes artwork): Upright/Magic // Guilt Tier 8 // Single-target // 0 SP Cost // for one attack: atk & U atk & M atk +7, enemy def & U def & M def -7, stronger against standalone enemies, enemy counter +10, 11 hits. The KH3 Sora, KH3 Kairi, and Peter Pan avatar sets return for 1500 Jewels each until September 16th at 23:59 PT: As for this week's Union Cross, the LUX that can be obtained has been increased. There are a total of five Cross Boards available this time, three of which are open from the start. Players can still receive the Starlight Glasses pet part. Bonus times are at: ● 4:00 a.m. - 4:29 a.m. (PT) / 11:00 to 11:29 (UTC) ● 10:00 a.m. - 10:29 a.m. (PT) / 17:00 to 17:29 (UTC) ● 2:00 p.m. - 2:29 p.m. (PT) / 21:00 to 21:29 (UTC) ● 7:00 p.m. - 7:29 p.m. (PT) / 2:00 to 2:29 (UTC) ● 11:00 p.m. - 11:29 p.m. (PT) / 6:00 to 6:29 (UTC) Defeat the Closehanded Captain raid boss in this week's Raid Event! Rewards include Brooms, Mirrors, Chip, and Dale medals. Bonus Times are on Saturday and Sunday: Pacific Time // UTC 2:00 a.m. to 3:00 a.m. // 9:00 to 10:00 8:00 a.m. to 9:00 a.m. // 15:00 to 16:00 2:00 p.m. to 3:00 p.m. // 21:00 to 22:00 8:00 p.m. to 9:00 p.m. // 3:00 to 4:00 Until September 24th at 23:59 PT, the 7* HD Ira EX+ and 7* HD Invi EX+ Deals are open! Both medals are guaranteed in 10 pulls within their respective draws. Otherwise, each pull guarantees: one respective Trait Medal, a 7* Guilt Tier 5 medal, three Mirrors, and 10 Limited VIP Coins. The 7* medals pulled from these draws may arrive with one of the following skills: ・Attack Boost VI Max ・Defense Boost I Max ・Defense Boost II Max ・Defense Boost III Max ・ATK B V Max & GA 1 ・ATK B V Max & Lux+ ・Triple Threat II HD Ira EX+: Upright/Power // Guilt Tier 8 // AoE // 4 SP Cost // for one turn: self[atk, P atk, U atk, S def +7], enemy[def, U def, PSM def -7; S atk-3], +120% Guilt, +2 SP recovery, enemy counter +2, stronger with more HP, next medal >> P attribute, 6 hits. HD Invi EX+: Upright/Magic // Guilt Tier 8 // AoE // 4 SP Cost // for three turns: self[atk, M atk, U atk, P def +7], enemy[def, U def, M def -7; P atk-3], +100% Guilt, +2 SP recovery, enemy counter +2, stronger with more HP, next medal >> M attribute, 4 hits. Images from this update can be viewed below. Are you pulling for any medals? In commemoration of the 3rd Kingdom Hearts Union χ Anniversary, Nomura has released a message thanking players for playing Kingdom Hearts Union χ! He has also announced the Kingdom Hearts III mini-games, Classic Kingdom, has arrived to Kingdom Hearts Union χ! Read Nomura's translated statement below. In this limited quest, complete the Kingdom Hearts III Classic mini-games with high scores and receive the Starlight Keyblade in Kingdom Hearts III! Update[september 6, 2018]: New content has been updated for Kingdom Hearts Union χ3 (ex-tres) mode has been added to version 3.0.0. χ3's design was created to imitate Sora's menu screen on his device in Kingdom Hearts III. 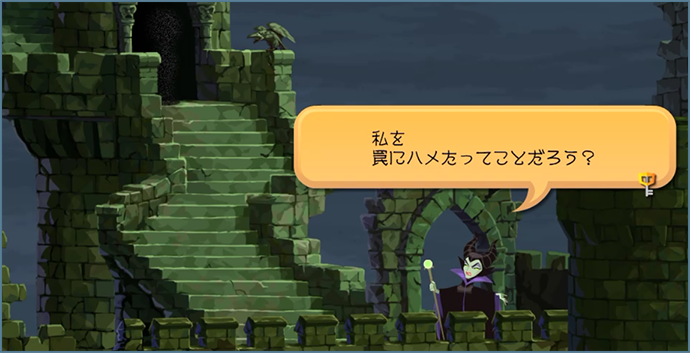 Through the χ3 menu, players can access the Classic Kingdom mini-games and the new communication feature. The Classic Kingdom mini-games are available through the χ3 menu. There are five mini-games available to play: Giantland, The Musical Farmer, The Karnival Kid, The Barnyard Battle, and Fishin' Frenzy. High scores are required to attain the Starlight Keyblade product code for Kingdom Hearts III. Players are allowed many attempts to get a high score for the Starlight Keyblade limited quest, but only until the quest deadline. A new communication feature has been added to Kingdom Hearts Union χ through the χ3 menu. Through this new communication feature, players can talk to other players across various parties and unions, not just their own. 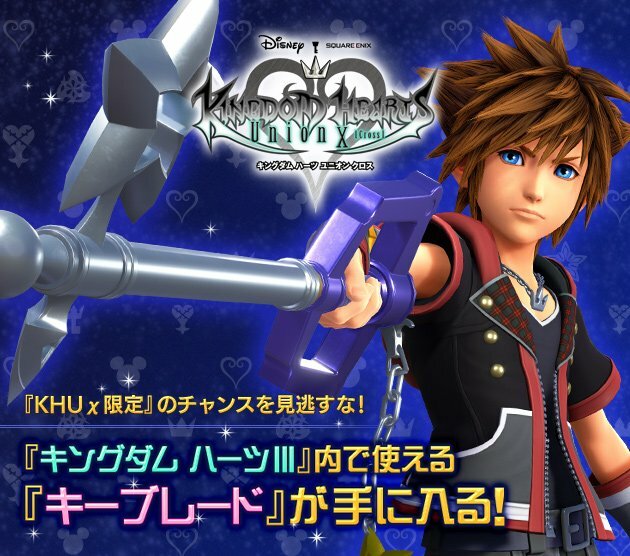 A full render of Sora holding the Starlight Keyblade has also been released. You can view it below. Update 3.0.0 is now available in Japan and is to be available for North America on September 7, 2018.